Although these shorts look simple and are not too flashy, we think they look excellent. It’s a more professional looking short and can be used in almost any sport activity. If you are looking for a little more style they have versions with a subtle camo pattern. The Fusion S focuses on a sharp, uncomplicated design to make a statement that you are serious about MMA. The Sprawl Fusion S utilizes the most resilient fabrics to construct the short. The stretch fabric has been treated with a complex process to make it sweat and blood repellent, making it quick to dry and less prone to stains. Even more advanced is that the shorts are fungus resistant, this helps in preventing the formation of fungus growth such as the dreaded “jock itch”. Sprawl is so confident in the durability of the Fusion S shorts that they have issued a guarantee that the fabric will NOT rip for as long as you own them. 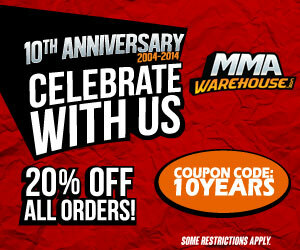 They feel that this is the last fight short you will ever need to buy. Ever! The comfort level of these shorts are superb, it is designed to fit very securely where its needed but allow a full range of motion when training or competing. Their innovative Channel Lock waistband is the first non-slip waistband that grips tight to prevent shifting during intense ground and grappling sessions. 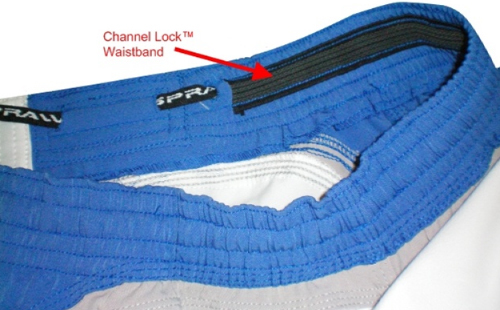 The Channel Lock also has a full range of adjustability to conform to your body and gives you the freedom to rehydrate after a weight cut, to ensure that your shorts will still fit. Of course, like other high-quality shorts, the Fusion S has an extremely flexible fabric that provides supreme comfort. 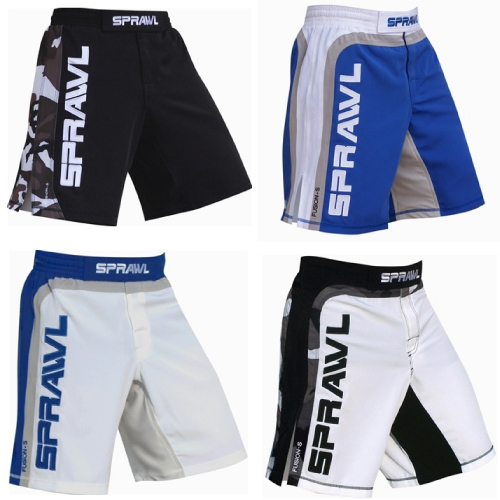 The Sprawl Fusion S is in fact the most advanced MMA fight short in the world. It has all the best qualities in construction, durability and comfort. The design is very simple and not flashy as some shorts, but if you are looking for a more unique style, the shorts have plenty of blank spaces to accommodate your own sponsorship or gym badges. These are definitely one of the best MMA shorts, period.